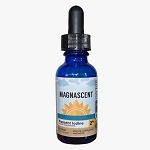 Welcome to MagNascent.ca, your resource for information, insights and products related to the remarkable nutritional supplement known as nascent iodine. 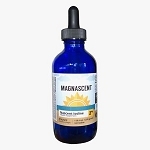 At MagNascent.ca, our mission is to bring the news of this breakthrough product and its various applications to people who can benefit from its powerful effects. We are proud to be the Authorized Distributor in Canada for Magnascent Iodine. MagNascent iodine is formed when the iodine molecule is broken down to produce magnetically charged atoms of this essential element. This is iodine in the nascent state, but in a unique form which is consumable as a liquid supplement. It is widely known that iodine is an essential nutrient for the human body, and scientists and doctors have known for many decades about the unique properties of nascent iodine. However, the production of a stable and nutritionally practical nascent iodine product has eluded the medical community until recently. After years of research into the science and history of nascent iodine, we have discovered a method by which nascent iodine can be formed using a unique electromagnetic process, thereby making MagNascent Iodine™ a powerful and practical enabler of improved health.